For many jazz fans in the 1980s and ’90s, Kenia‘s singing was the gateway to contemporary Brazilian jazz and pop. She stood out from her compatriots because of her intimate, smooth vocals-subtle yet soulful-and her finesse with both American standards and Brazilian material. 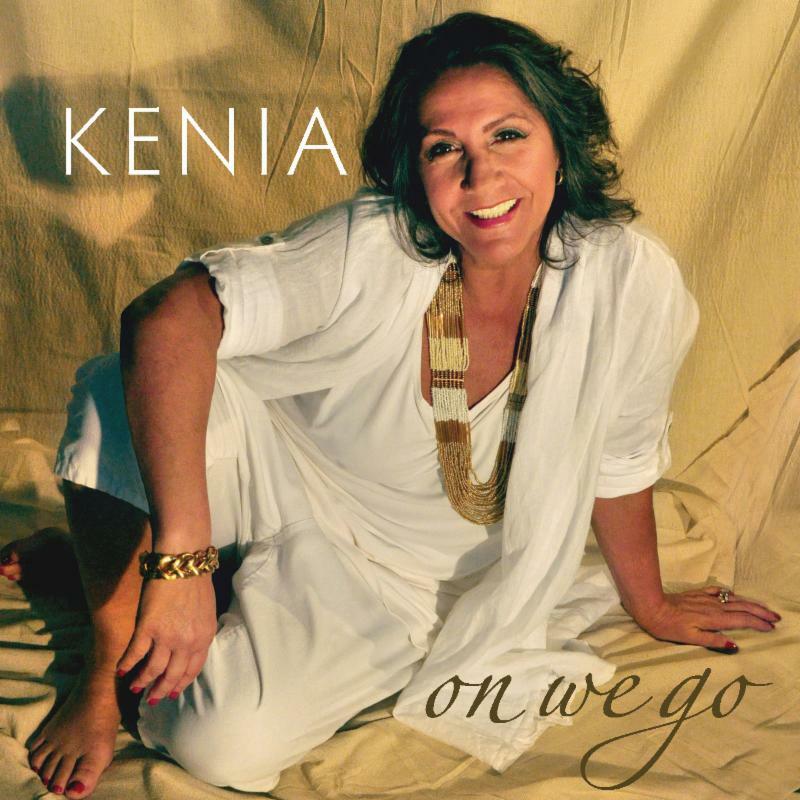 On We Go will entice a new generation of listeners, as it showcases Kenia at the top of her form with a seductive, polished vocal phrasing. The intriguing repertoire includes songs co-written by Kenia and the Brazilian songwriting legends Ivan Lins and Antonio Adolfo. The singer, born Kenia Acioly, grew up in Rio de Janeiro and moved to the U.S. in 1980. She made her recording debut as the featured vocalist on trumpeter Claudio Roditi’s Red on Red, produced by the legendary Creed Taylor, the producer of “Desafinado” and “The Girl from Ipanema.” Kenia established herself as one of the most popular Brazilian vocalists in the U.S. with her MCA solo debut Initial Thrill (1987) and Distant Horizon (1988), both of which gained substantial radio airplay, and were followed by well-received albums with Denon. On these releases, Kenia sang in English and Portuguese and freely mixed composers like Harold Arlen and Stevie Wonder, Djavan and Toninho Horta. 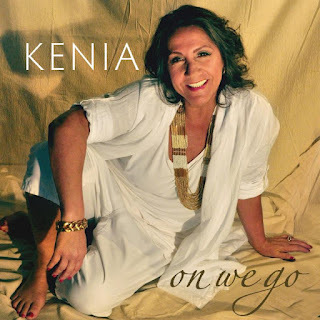 On We Go boasts standards by big names (Gershwin, Lennon and McCartney), works by lesser known contemporary composers (Romero Lubambo, Luis Simas and others) and songs written for Kenia by Adolfo and Lins. Paul Socolow plays bass and Mark Soskin handles keyboards on the new album, with Sandro Albert on guitar, Lucas Ashby on percussion and Adriano Santos on drums. Guitarist Romero Lubambo and harmonicist Hendrik Meurkens make notable guest appearances. The album opens with Eric Susoeff’s upbeat samba “On We Go,” which Kenia recorded previously with Susoeff’s band Salsamba in vocalese form. For lyrics, “I reached out to the great lyricist Lorraine Feather,” says Kenia. A hip, jazzy version of George Gershwin’s “Summertime” follows, with adroit vocalese by Kenia. About “Que Amor É Esse (What Love is This? ),” Kenia comments, “Antonio Adolfo and I have been friends for many years and I asked if he would write the music for my lyrics,” and the result is a lovely, slow love song. The album closes with a soft acoustic version of the Beatles’ “Nowhere Man.” It is a little surprising yet soothing and pleasing to the ear, like the other songs on On We Go. Once again, the vocalist has bridged jazz, international pop and Brazilian music and done so effortlessly, in one of her best works to date.